The Lurn Summit is all over the place with its ads and the founder Anik Singhal has definitely put in some work in creating the product. In this review, I would share how I liked the program and if it is going to help you make a full-time income or not! If you have been thinking of joining the Lurn Summit then do read the complete review in order to understand better what you would be getting inside the training program. What is the Lurn Summit? The Lurn Summit is an online training program where you will learn to make money online. 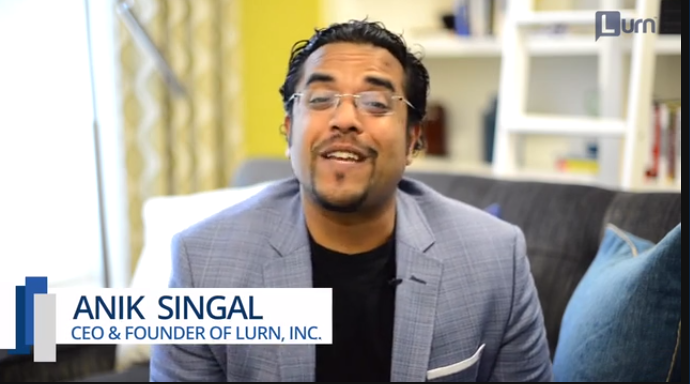 The owner Anik Singhal promises that you can easily get started with your first online business in a couple of days and with the training and the information provided inside the Lurn summit you can easily start making money online. The program is easy to get started with as you have a trial offer of $1 where you get the insider sneak peek of what kind of training you would get from the Lurn Summit. The entire training is quite huge and you have different areas of internet marketing that are being addressed in each of the modules which looks complete from the outside but I had my own likes and dislikes in the program which I would discuss next. 1. There are tons of ads on the Lurn summit and honestly I thought it is worth a try or maybe this might teach me something new and interesting which would help me scale my business but it just ended up like another informational product that promises a lot but at the end of the day provides nothing that can be implemented. 2. The initial part of the training is all about getting into the mindset of being an entrepreneur and I personally felt that there is enough of material on YouTube for it. You do not need to pay money to watch motivational videos, although the videos are good I think handing over the course would be much better. 3. There is a lot of beating around the bush in the course and there is no real meat. If you follow a few good blogs on internet marketing then you would learn a lot more than the training you get inside Lurn Summit. However, I must say that they have other upsells but since they were too expensive and the normal training didn’t offer anything useful, I chucked the idea of taking a further look at the upsells. 4. I really wanted to keep this review short because it really took me a lot of time to go through the material and see if I could find anything useful. The Lurn summit looks pretty neat and nice but I feel they teach you things which are very common and you can easily access on YouTube for free. 5. I was pretty excited to find something interesting when it came to Facebook ads and email marketing section but once I got to it, I received a downloadable pdf file which was nothing but consolidated information that is available on the internet. If you are a beginner then the Lurn summit can easily confuse you into thinking that maybe internet marketing is really difficult and you can never make any money online. 6. As soon as you sign up for the trial period, you are pushed into buying an upsell and once you reject buying it, you are greeted with a video where you are again convinced that if you buy this upsell you can make money much faster. If you have any experience in internet marketing then you would realize that there is no training that can make you money faster as pieces of training are not magic pills. You need to learn as much as possible an try and implement different methods to see which one works the best for you. 7. Honestly, I expected a lot from the Lurn summit from all the hype around it and was pretty disappointed as it did not meet my expectations. I have to go through boring videos of motivational speeches and then when I came to the real training, I just found some random compilation of information that can be found on the web for FREE. 8. I think I was just disappointed not to find anything useful and have just wasted my time on watching videos that did not give out any useful information. The Lurn Summit beats around the bush a lot and I wish they just got to the point and started with the training right away. I think Anik is an amazing Internet marketer and he can do more with the training. Having more of useful training and step by step case study would really help understand better rather than beat around the bush for half an hour and then give very basic information in the next half an hour for an hour long video. 9. This training did not meet my expectations and I can say that if I were a newbie I would not join this program. It is confusing and overall does not provide you with any action plan on how to get started. It is very vague and not something I liked. Well, the Lurn Summit was disappointing and where I expected some good information and case study, I was just met by sad pdf and information that can be available online for FREE. I guess if there was more meat in the training videos then this training would have been ideal for beginners. However, if you still want to try out the Lurn Summit, you can just get started with $1. This is something I really liked about the training that you can actually go through the material for just $1 and see if the course is right for you or not. The entire training has too many upsells which was a major turn off for me and in the case you are someone like me who wants to start out an online business on a really low budget then you should check out my #1 Recommendation. You can learn how to make money online the way I did and with my one on one mentorship as well. The training I went through to build successful affiliate websites is free to get started with and the quality if the training is much better as it is more organized and easy to follow. You can read my online journey here. Hi Shrey, thanks for your post. I have not heard of the Lurn Summit before but clicking to the page I see that they have some big promoters at the summit. I don’t like programs that continually have add ons to their products and once I see or hear that they have I stay away. Thanks for your article and review, I found it very helpful. I actually found this program via YouTube ads and was interested in it, when I went to the site I got really excited that I could try out the program for just $1 and see myself if I like it but as soon as I saw the training sessions, they were very usual things and nothing worth paying money for. I think the videos can be condensed to smaller videos by just getting straight to the point and avoiding unnecessarily beating around the bush. The quality definitely needs to improve and since I was not happy with the initial training itself, there was no way I’m going to sign up for the upsells. Big Dog Secrets is the next level of any training out there, LOL. I have never seen anything like it till today and I hope I do not see anything of that kind in the future. Coming back to Lurn Summit, it is much better than the Big Dog Secrets but it definitely needs a lot of improvements. Thanks for The Lurn Summit Review, it is very well written. I had looked at this program while trying to find out about getting started in online business. Now, I am glad that this is one program that I did not join. Starting a business online and being successful is difficult without training and support. Your #1 recommendation is much better. I like the idea of training that is free to start. Wealthy Affiliate always has up to date training, not found anywhere on the Internet. Keep up the good work of pointing out the good and the not so good programs. I’m glad you liked my recommendation Ed. I actually had a lot of expectations from the Lurn Summit and was only disappointed. The quality of training that they provide is not as good as the WA and that is the only reason I’m not that into Lurn. I mean I have heard a lot about Anik Singhal as well and I’m sure he must be good at Internet Marketing but his program is not that great. I wish I found more meat in the content of ‘The Lurn Summit’. This coming from him was a disappointment. Basically you are paying for something that is available on blogs and free on YouTube. And then there were upsells. When I was a beginner I would have never spent so much money on that kind of training, WA is more on point and you just follow the training and implement it on a daily basis to see some results. Hi there. I just finished reading about your experience with the Lurn Summit program and thought I would just drop you a quick comment to offer my thoughts. A couple of years ago I fell into Anik Singals trap too! This guy is a pretty good sales person and he convinced me to join one of his “list building” memberships. These systems all operate in the same way, just as you described in this review. Lurn Summit is no different to anything else that this guy has sold in the past. He gives you the big speech, makes it sound really good, then you see the low entry price and you think it will be worth it. Then you get to the upsells. These people really know how to drain every last bit of cash out of you! The sad part is, no matter what upsells you buy, you always get the same result. Cheap training that you can find on YouTube or elsewhere online for free. These people just use clever sales tactics to sell their rubbish to everyone that falls for it. Exactly! I have been into Internet marketing for a while and have seen a lot of free training on YouTube that actually offer value. There are many channels out there that give more information than the Lurn Summit and that in itself says that investing in this program is not worth it. Apart from that, the guy is indeed a good sales person and he does exactly what you mentioned!